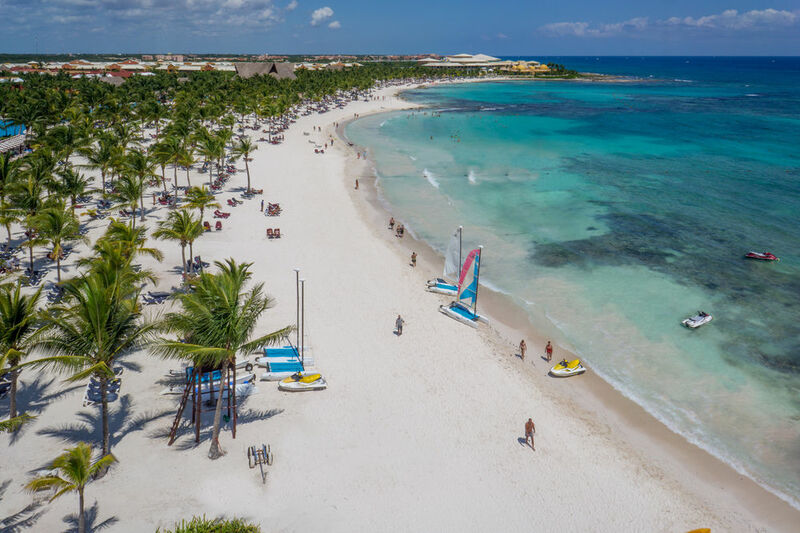 The Barceló Maya Colonial 5-Star hotel enjoys a privileged location along one of the most impressive beaches in the world; a unique shore in the Riviera Maya extending 1.2 miles, perfect for disconnecting from your daily routine. 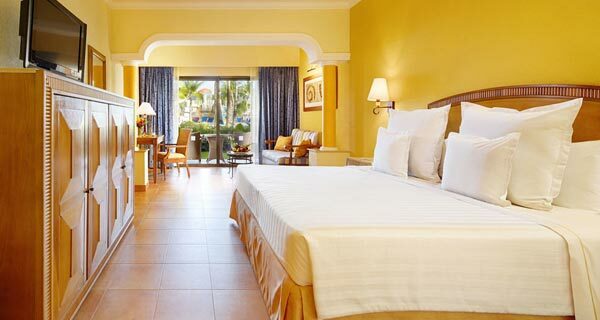 Not only does the hotel feature excellent Superior and Family rooms, it also offers Premium Level Junior Suite and Suite rooms (Premium Level Ocean Front Junior Suite and Premium Level Ocean Front Suite), designed to provide an unbeatable stay with the exclusive benefits provided by this exclusive program. 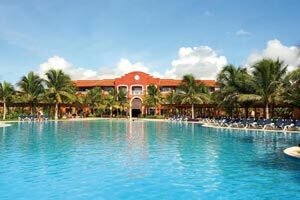 The hotel also features an incredible U-Spa with an original U-Kids Spa. 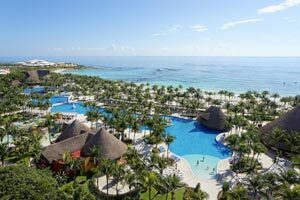 The All Inclusive program at Barceló Maya Colonial offers snacks and drinks 24 hours a day, as well as access to the hotel’s 4 restaurants. 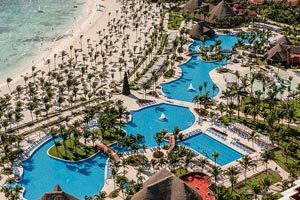 These include 2 specialty restaurants, one buffet and one snack-grill restaurant, as well as 3 bars strategically located around the hotel. 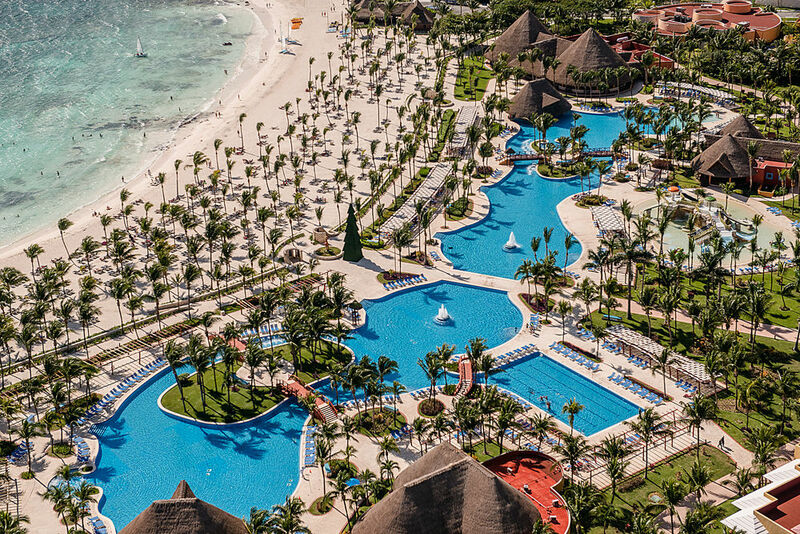 The excellent All-Inclusive program also allows you to enjoy the sports facilities and pools, and also grants you access to the many bars and restaurants in the resort’s 4 hotels. 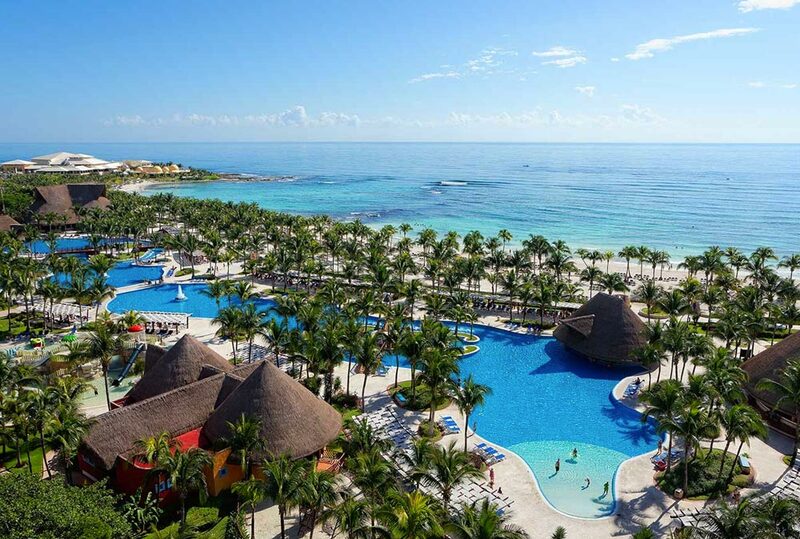 The hotel’s vibrant night life offers live shows in the theater and disco. 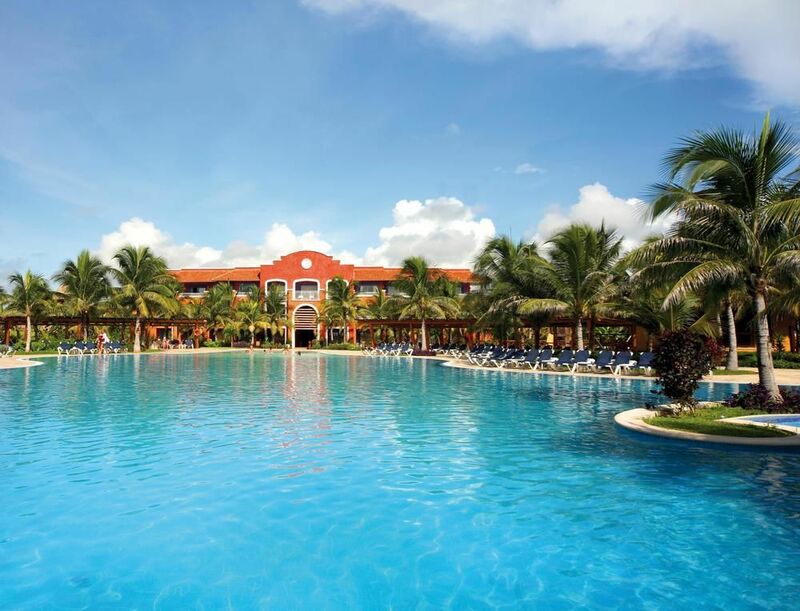 Barceló Maya Colonial 5-Star hotel is located in an idyllic setting, the Barceló Maya Colonial hotel offers large, bright and comfortable rooms for your complete relaxation and enjoyment. 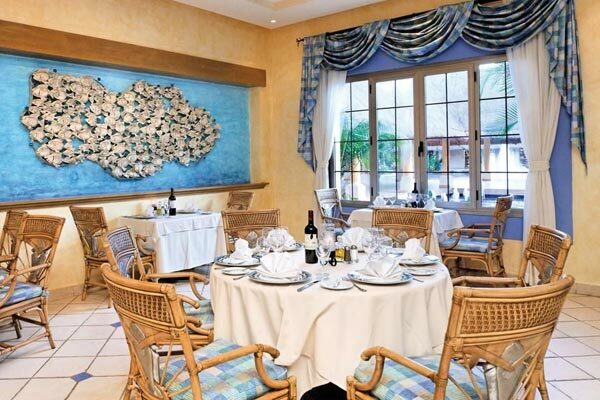 All the rooms are decorated in a locally inspired style and have marvelous views. 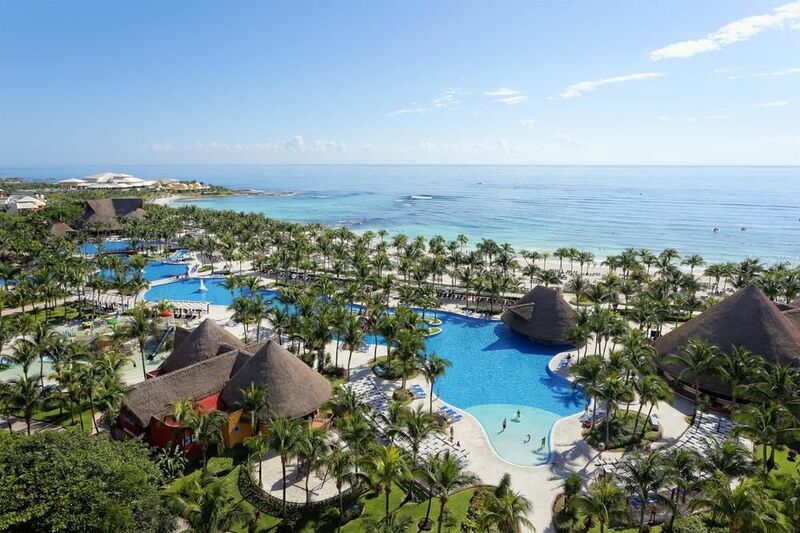 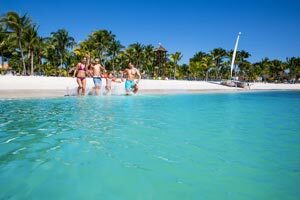 Barceló Maya Colonial 5-Star hotel has 6 swimming pools that include special shallow areas for children, semi-Olympic pools, and swimming pools for adults. 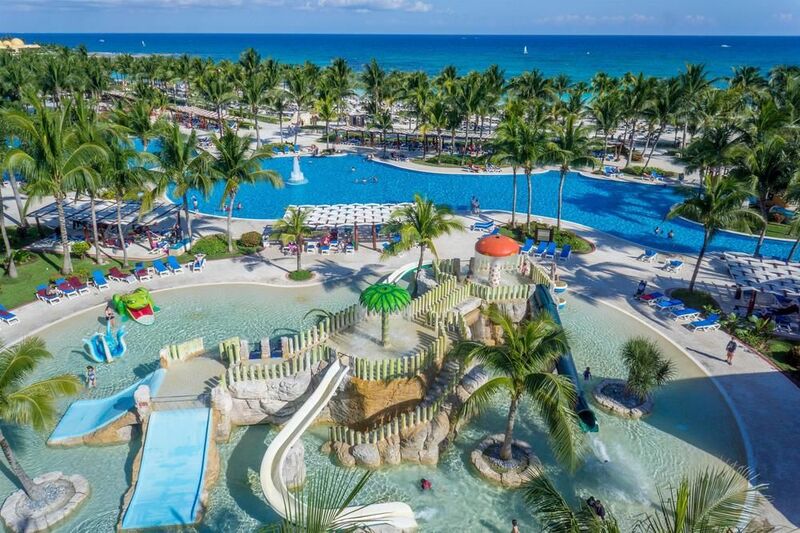 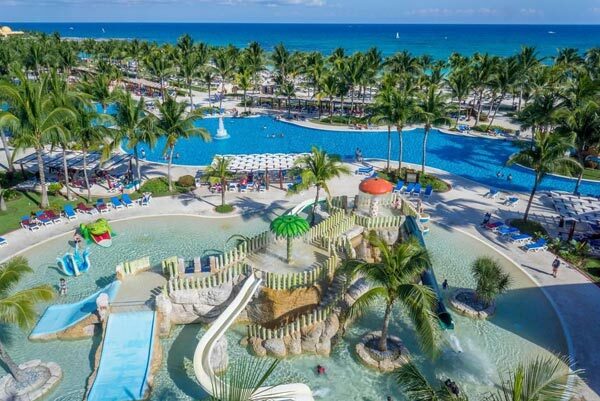 Barceló Maya Colonial also features the Barcy Water Park for kids where kids can enjoy castles, slides and waterfalls within the swimming pool. 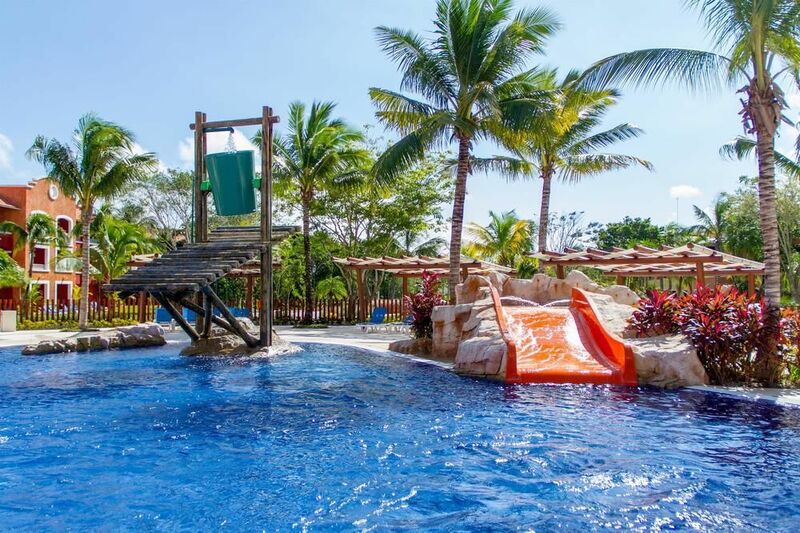 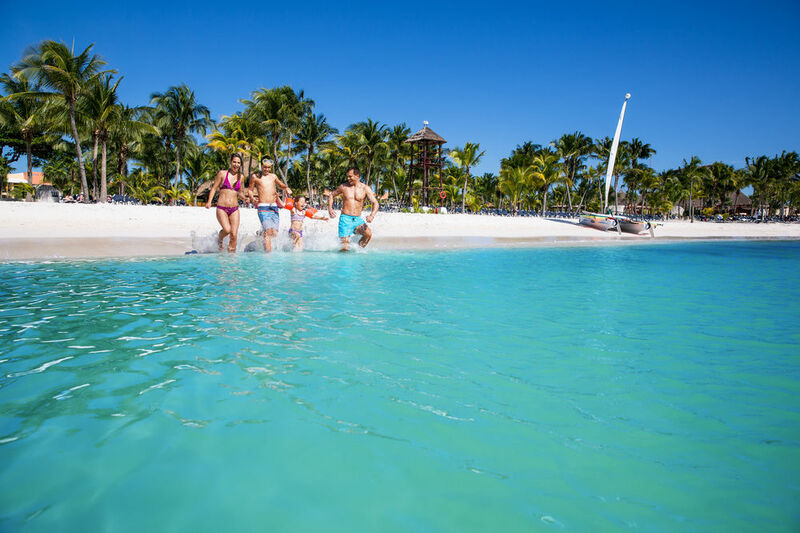 The pool area at Barceló Maya Colonial has a fabulous sun area, hammock area and a fully equipped game zone with a beach store and much more.